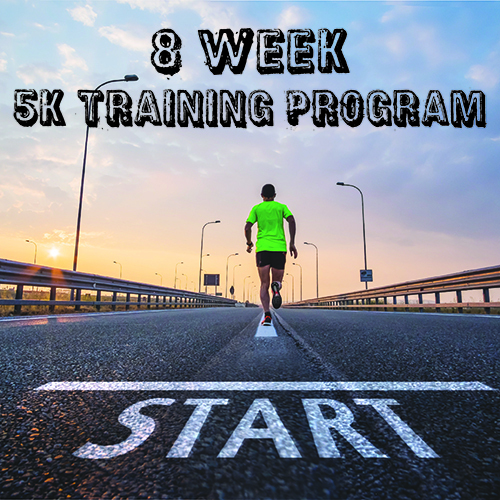 I’m all about workouts that are also great to do after runs, since I’m a runner and have to work on strength training. Does anyone else have a tough time balancing both when you’re training for a race? 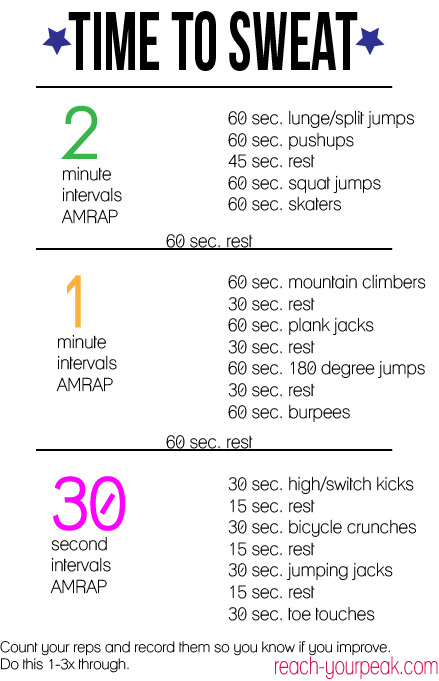 I was inspired to do a 30-20-10 type workout after seeing a personal trainer and her client working out at the gym yesterday. The trainer had her client do 50-40-30-20-10 burpees, then back up 10-20-30-40-50 burpees. 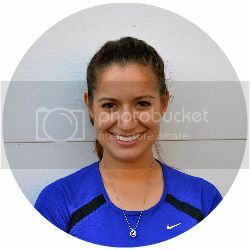 Dayyummmmm! DB means dumbbell…figured I’d clarify just in case This whole workout should take about 20 minutes, so it’s great on it’s own, or after/before a cardio workout. As always, let me know if you try it out, I’d love to hear your thoughts. It’s almost Thanksgiving! Who has off today? I don’t, but it’s ok because I will be going out with friends later for “Thanksgiving Eve” and am so excited! Cellulite: It’s Time We All Just Get The Hell Over It (Go Kaleo) – Could not agree more with all of this. Why do tabloids find the need to even write about this stuff? How To Workout While Visiting Relatives (Sarah Fit) – Tips plus links to workout videos that you can do anywhere. 10 Creative And Thoughtful Health Nut Gifts (Run To The Finish) – Great ideas for the health nut in your life…putting some of these on my list! Acorn Squash With Wild Rice (Miles For Thought) – Looks like a delicious vegetarian recipe that I need to try out. How To: Workout While Holiday Shopping (Olive To Run) – Relevant for Black Friday shopping…hilarious blog post. Where will you be spending Thanksgiving? Do you go Black Friday shopping? Where? 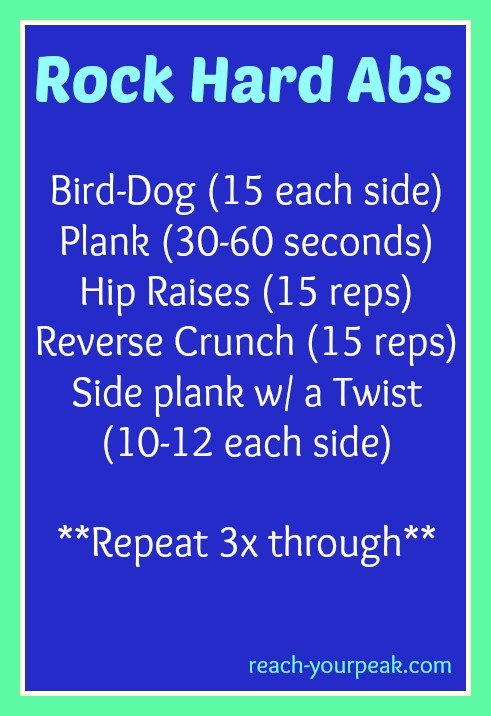 After a long run or workout, if you’re like me the last thing you want to do is a core workout. I just want to foam roll, stretch and shower. 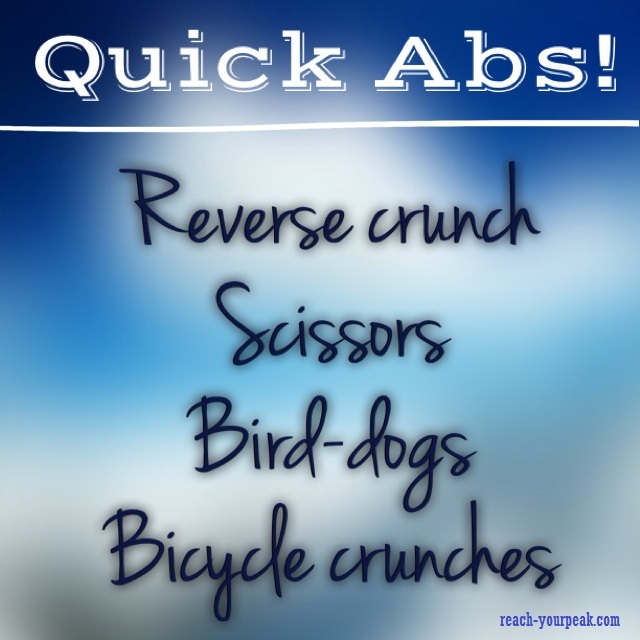 Which is why I made this quick and easy abs workout for you! What are your go-to core exercises? 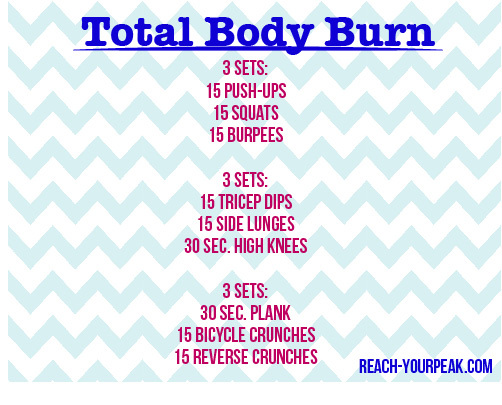 Here’s a new workout for you…you can do it at home, or you can add weight if you want to make it tougher. 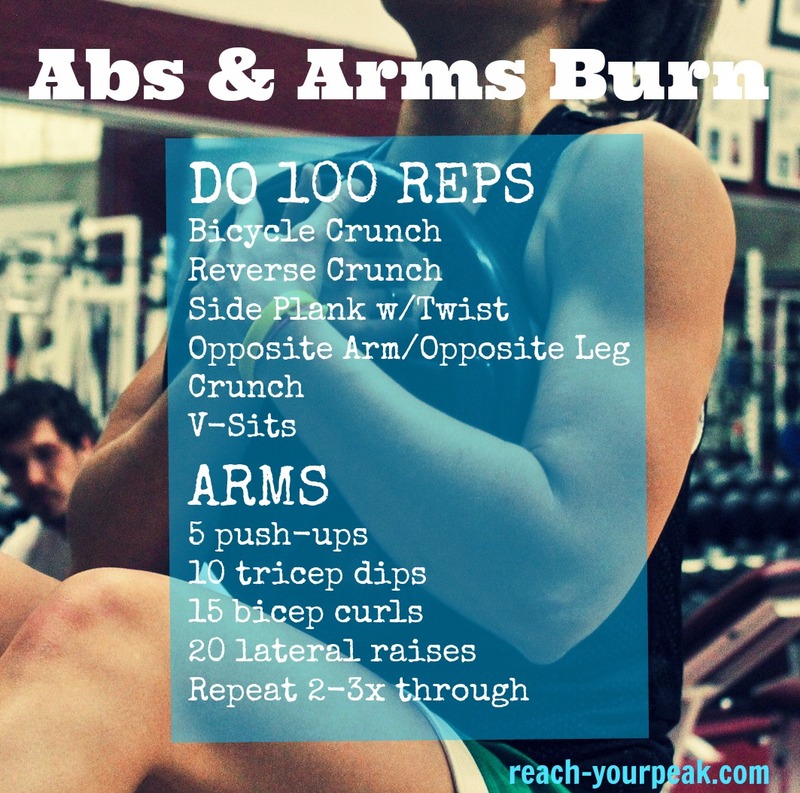 Strength and cardio combined, with some abs as a finisher. Remember to always do a warm-up before starting a workout.